Eyebrows frame the face! Fact. A bit like fingerprints, each and everyone of us have different eyebrows. I've always had kind of ok eyebrows and over the years kept them in check with a little pluck here and a little pluck there to keep them tidy, and have been happy with them, even more so when I discovered HD Brows about a year ago. HD Brows are an amazing way of styling your eyebrows, whether you have let them grow out or they’re too thin, they can be made to look amazing again! The therapist uses a combination of tinting, waxing, threading and plucking your eyebrows ( yes all in the one visit!) to make them frame your face perfectly. I think many people go around every 6 weeks or so but I'm actually quite lucky because as I've got older my brows don't grow as much so I can leave mine a lot longer. I don't book my next appointment in advance because of that and as I look in the mirror each day I can tell when they are ready for their next visit. I went the other day and took a pic of my brows before I left for the salon, now you'll have to forgive me with the photos, they're not great. Let me tell you it's hard to take a selfie of your own eyebrows. You should try it. For some strange reason they take on a life all of their own, and when you press the shutter one eyebrow moves upwards without me even trying. Weird! Mine may not look too bad to you, but they've no colour in them, are a bit gappy and there are quite a few stragglers on top and underneath. All done and just as I like them, neat, tidy and nice and dark. Eurgh.....it's freaky seeing your own eyes staring back at you!! And yes, before anyone asks they are my own lashes, beautiful aren't they? Get asked if they are falsies all the time. Can't put mascara on the bottom cos they are just too long! 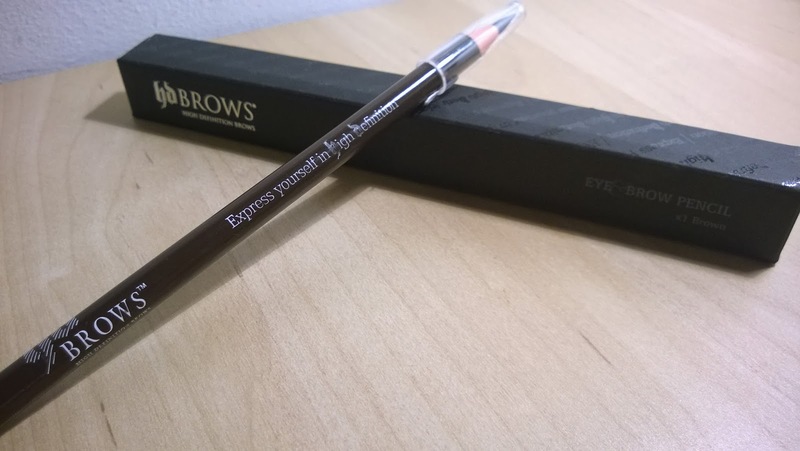 I have a HD Brow palette that I use at home and this visit I decided to buy a HD pencil. I will use a combination of both to keep them looking tip top. 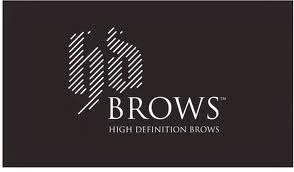 I go to Browns Salon in Loughborough and the wonderful Lucy takes care of me and my brows. Emily now goes to have hers done, and Sshh....don't tell anyone but Mr C has also had his done! All the ladies at Browns are so lovely and really look after you. The salon is modern yet still with a cosy atmosphere. I don't know about you, and its a strange thing to say but I really feel like I have to 'fit in' at a salon. I have been to other salons where the staff don't make you feel quite as welcome or comfortable and at ease, (especially when you're having some embarrassing places waxed!) Browns certainly make me feel welcome, comfortable and at ease. That's why I go back. They offer a wide range of treatments at the salon, including manicure, pedicure, waxing and much more. They also have some amazing offers. 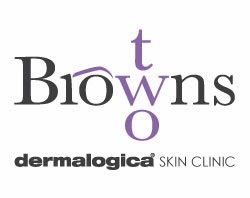 AND... they are about to open a second salon, also in Loughborough offering Dermalogica treatments! 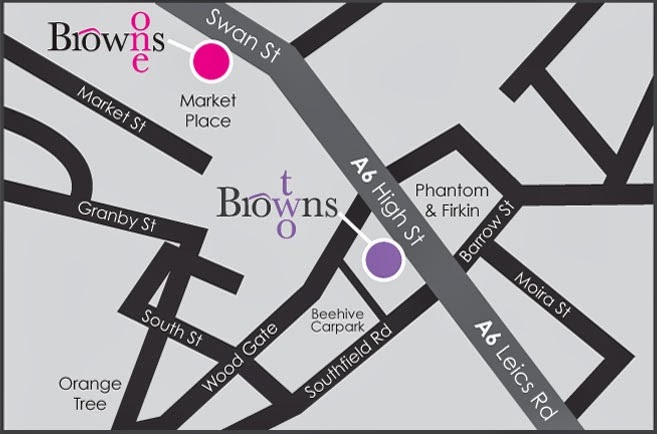 We now have Browns One and Browns Two! Click here for the link to their website where you will find all the info you need and can book treatments online. 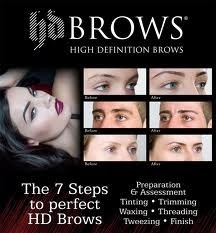 Or if you want to find more info on the process of HD brows click this link.